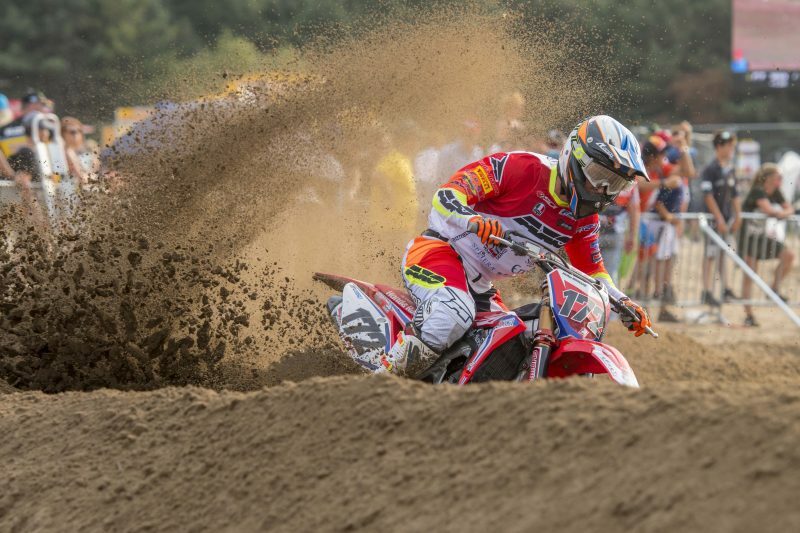 Lommel, Belgium hosted the 15th round of the 2018 world motocross championship with the deep sand combined with the high temperatures providing a real challenge for all the competitors. 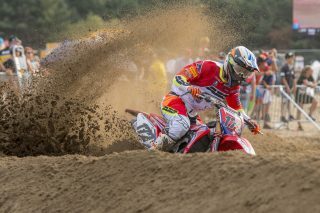 However despite these conditions, the Honda riders in MXGP, MX2 and EMX250 classes acquitted themselves really well and now head to Switzerland with renewed confidence as the season enters its final quarter. 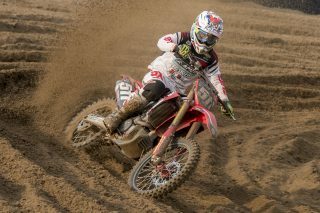 Mathys Boisrame kept his lead of the EMX250 championship despite a difficult weekend in the deep sand. 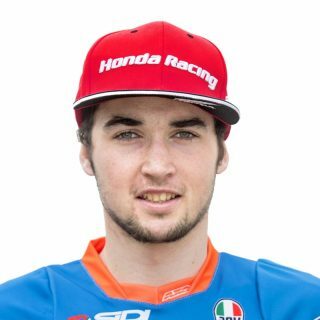 The Assomotor rider showed good speed throughout the weekend, qualifying in third place in his group and leading a good portion of the first race before the track took its revenge. 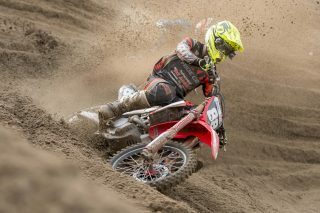 Eventually the young French rider was able to salvage six-eight results which means he still holds onto the red plate with just three rounds of the EMX250 series remaining. 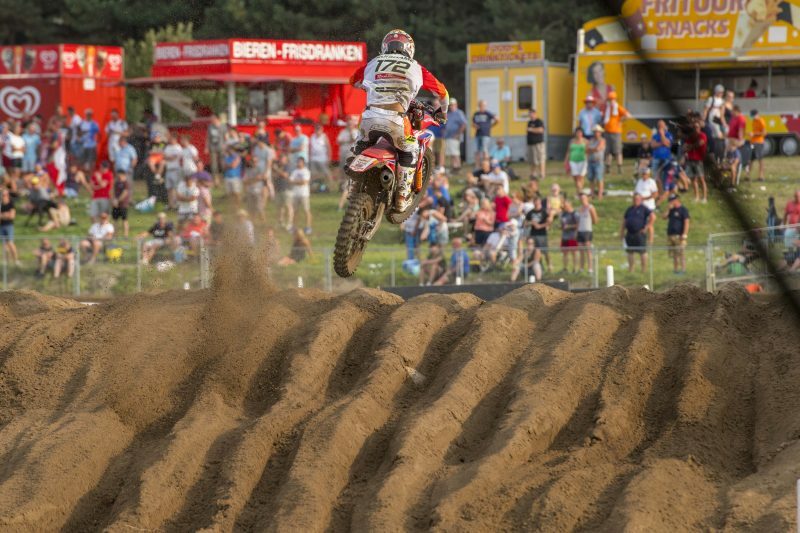 Freek van der Vlist returned to action after his injury at the MXGP of Germany and put in his best results of the season, something that will hopefully continue as the season heads to the Frauenfeld track in Switzerland. I am a little disappointed with the weekend because I know I had the speed to get better results. I was riding really well in the first moto, leading the race on my CRF250R and I felt comfortable but it was a difficult track and I wasn’t able to keep that up. It was similar in the second race where I had the speed but an early mistake cost me. I am happy to get all the way back up to eighth place, especially as it meant that I was able to keep hold of the red plate. There are now three rounds left and I am extremely determined to stay at the top of this extremely competitive EMX250 championship. 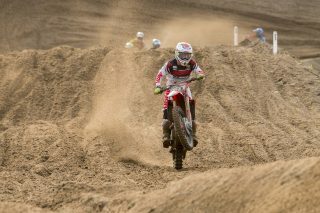 Lommel is an extreme sand race and that is a stand out test compared to the majority of the other rounds. 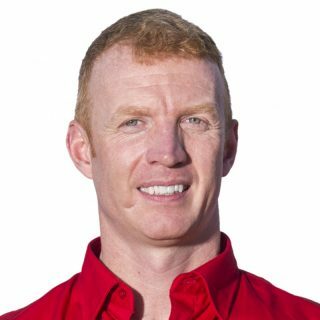 Deep sand racing is not a background that Mathys holds - this round would be the ultimate test for him - so it’s positive that Mathys is going into the final 3 rounds of the series still holding the championship lead. 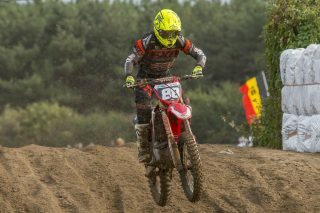 Mathys was riding really well, especially in the first moto when he was leading the field, but like so many others, suffered small crashes due to the ever changing nature of the Lommel sand. Freek van der Vlist returned after his injury layoff and put in his best results of the season as looks to finish the year on a high. 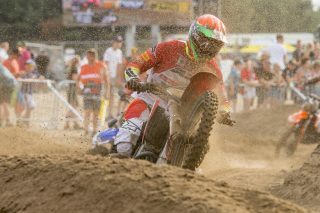 Alberto Forato also showed good speed over the weekend, especially in qualifying when he placed just behind Mathys, for fourth place.